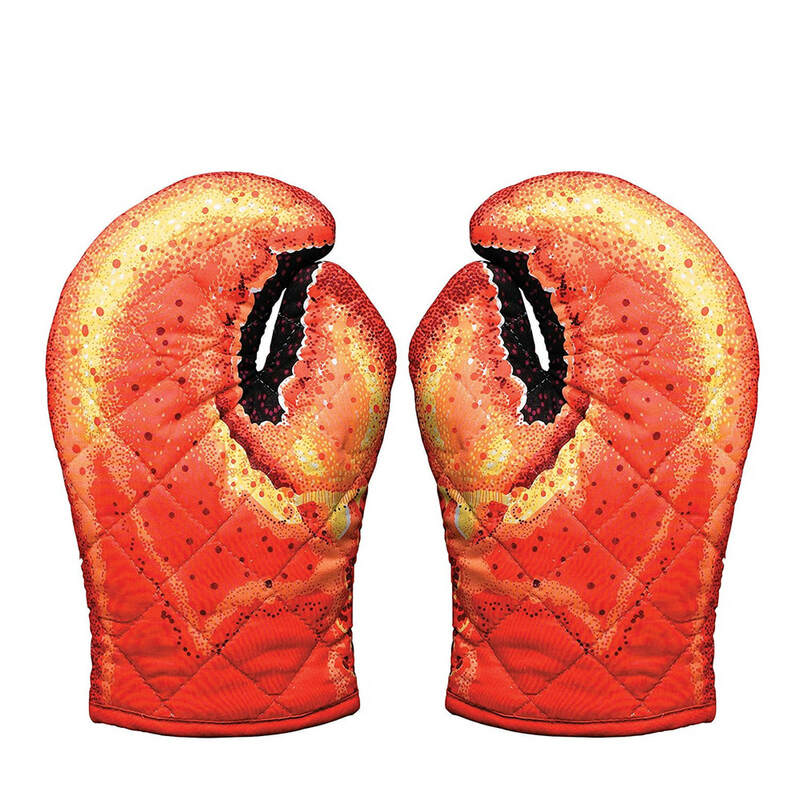 Set of 2 Lobster Claw oven mitts are a fun and functional conversation starter. ​These light duty oven mitts add a little bit of color and lot of fun to every kitchen. The realistic, full color, double sided art makes these cooking accessories a great addition to any kitchen...a perfect conversation starter or gift for the person who has everything.